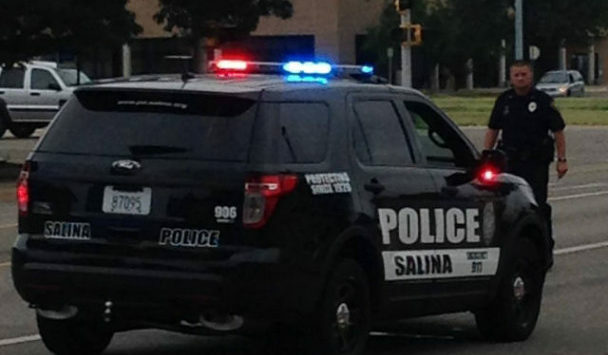 An intoxicated Salina man who allegedly threatened a group of bus drivers with a knife was arrested on Friday night. Police Sergeant David Villanueva tells KSAL News that 54-year-old Duwayne Amor was taken into custody after an incident that began on a City Go bus ride. Police say just before 9pm Friday, Amor was asked to step off a bus after he became disruptive and the driver discovered he had a cup of alcohol on board. A short time later Amor found three City Go buses fueling up at the Casey’s General Store at 215 W. Crawford. Police say he confronted the three drivers while waving a knife, yelling racial slurs and saying he wanted to kill the driver who kicked him off the bus. A deputy with the Saline County Sheriff’s Office arrived first on the scene and took the knife away. Officers later found personal use methamphetamine, pot and paraphernalia in Amor’s pockets. He is now facing multiple charges that could include criminal threats, disorderly conduct and drug possession.